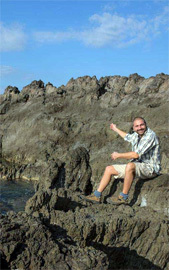 Astarti is also developing agrotourism through taste and gastronomy. 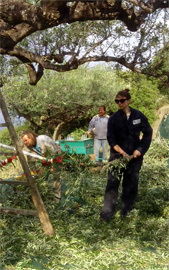 We are exploiting local production and testing new products that are abundant in the nature of Kythera, in order to integrate them into the gastronomic table. 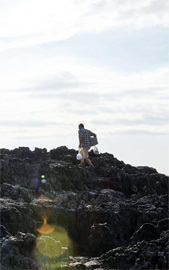 Astarti tries to educate and train others on local cuisine, traditional practices and cooking materials. Food has people who produce it, people who cook it – transform it, people who enjoy it and they all converge around a table. This table is what we want to highlight, the “earthly” side of food and its value both at the nutritional level and at the level of human communication and pleasure. 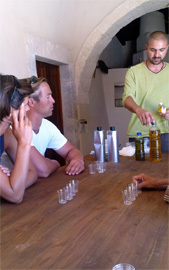 Olive oil Tasting – Olive oil tasting, as Astarti organic Extra Virgin olive oil is the most recognizable and award-winning product of Astarti Co., the company has been organizing olive oil tastings for the last 8 years. 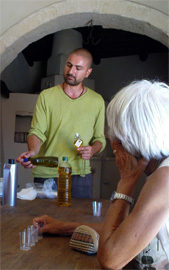 The tastings take place in our old community school (or in other open spaces) and the visitor has the opportunity in a short time to learn the basic characteristics of a good olive oil and to come in contact with the local history and aesthetics of another era (after consultation, for a fee). 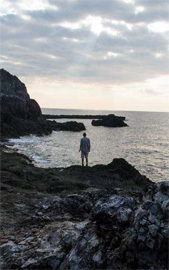 Private dining – Αt the Astarti Hidden Retreats or in the family ancestral home , where the visitor chooses from 3 different menus (fish or meat and vegan) and can participate in cooking if he/she wishes to learn some secrets of Greek cuisine (after consultation, for a fee). 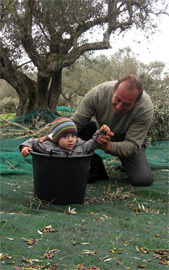 Olive picking – Visitors can work normally on the harvest of the olives (November-December) by acquiring this experience. 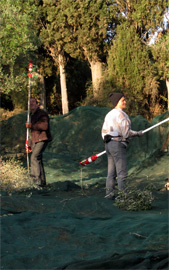 They take part in the whole process of production from the field to the mill, not in a tourist way but perceiving the hard work and the pleasure of the handler (upon agreement). 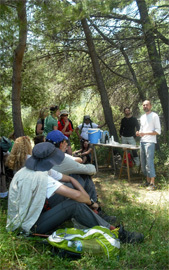 Foraging – Visitors can learn basic edible species of wild Mediterranean flora, harvest them and cook them in different ways, either at Astarti Hidden Retreats or in the family ancestral home, discovering the basis of the flavours and the land (after consultation, for a fee only and not during summer season). 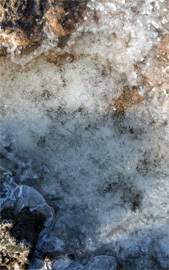 Sea salt hunting – One of Astarti’s products is the sea salt of Kythira, which is gathered by hand from the rock pools of the island. 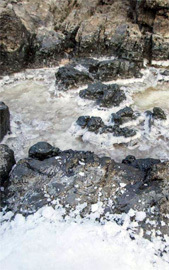 The visitor may have this experience of collecting wild salt and learn some things on unprocessed sea salt (after consultation, for a fee only in the summer months).